Anyone can experience the predicament of losing one or more teeth in their lifetime. Tooth loss can happen suddenly due to accident or injury, or it can happen over the course of time, from things like aging, medications, pregnancy, an unhealthy lifestyle or poor dental hygiene. When you have missing teeth, life gets much harder. Depending on where the gap is located, you may have problems chewing your food or be afraid to smile and talk. Life simply is not the same anymore. The loss of several teeth can lead to additional health problems from not being able to eat nutritious foods like fresh fruits, nuts and vegetables. Missing teeth also causes bone loss, which affects your facial appearance over time as muscles sag. 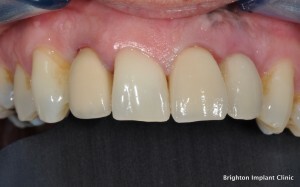 Dental Bridges and Removable Dentures only provide a temporary solution and they can affect adjacent teeth. In addition, they sometimes break or loosen, and they do not prevent bone loss. Denture slippage and odor is a major embarrassment for those who wear them, making life miserable. However, nowadays, tooth loss does not have to be permanent. Thanks to modern advancements in dental health technology, you can get your quality of life back. Teeth Implants are an attractive, functional and permanent solution to missing teeth. Imagine being able to eat whatever you want and feel confident again in social situations. 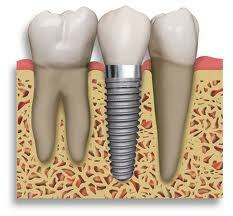 You may not know a whole lot about Teeth Implants or the process of how to get Teeth Implants. A Teeth Implant is an artificial tooth root that an implant dentist or oral surgeon places into your jaw to hold a replacement tooth or bridge. The process begins with your initial consultation, so the dental surgeon can assess your dental and overall health, take tests to check the density of your jawbone and then discuss your options. If you are a good candidate for teeth implants, they will explain the process, which varies depending on how many replacement teeth you need, and where you need them. You can choose from many types of dental implant treatments, so you should talk to your dental professional about the procedure that works best for your particular situation before you decide. In general,teeth implants treatment involves the fusion of the artificial teeth to the gums in a process known as osseointergration. For this reason, you must have enough bone tissue to create a strong, stable foundation for your teeth implants. Even if the dental surgeon determines that your jawbone is not dense enough, there is a solution. They can do a simple procedure called bone grafting, which gives strength and density to the potential implant site. 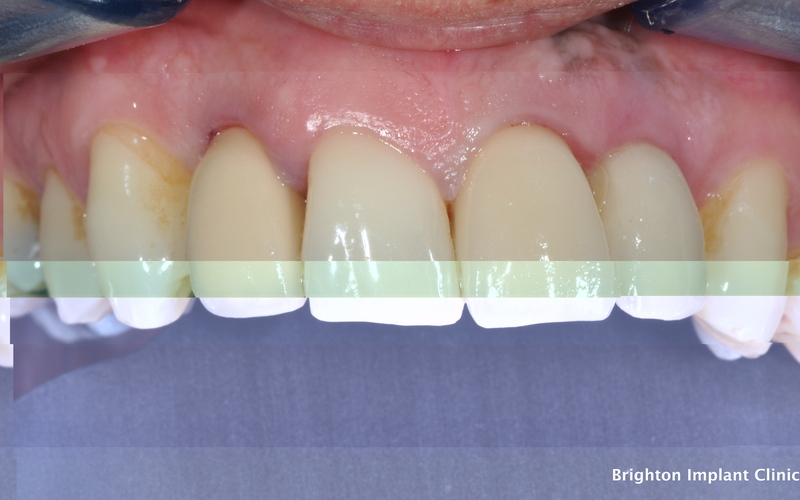 Although bone grafting adds a bit more expense and time to the overall treatment, it is an important step in ensuring your implant will last a lifetime. Teeth Implants have many advantages. They look and function like your own, natural teeth. You will feel like you never lost a tooth, because you take care of implants at the same time and in the same way as your original teeth. Your replaced teeth will last a lifetime without causing any inconveniences. Studies have shown that the teeth implants last for a period of between twenty to thirty years, depending on the oral hygiene and general health of the patient. Reviews and testimonials from patients who have undergone teeth implants treatment at The Brighton Implant Clinic reveal that the procedure is painless, with little or no discomfort. A teeth implant is ideal for any healthy person missing one or more teeth who wants to be able to chew properly and improve their appearance. The majority of teeth implant patients report the experience to be life changing, because they can return to doing many of the things they could not do before they got their teeth implants. For more information about Teeth Implants please feel free to Contact Brighton Implant Clinic or Call us on 0800 111 6623 .